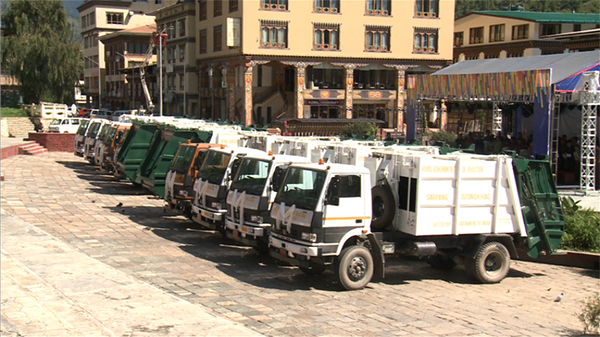 Thimphu Thormde received 11 garbage trucks. today. The Government of India funded the trucks costing Nu 2 M each. Four trucks will remain with Thimphu Thromde and the rest will be sent to other dzongkhags. The thromde will receive another nine trucks in the next three weeks. The additional trucks are to ease garbage collection problems because of the growing population. If we could have garbage pickup in Debse that would be great.